Camp Paw Paw is a summer camp put on each summer by the Humane Society of Chittenden County. 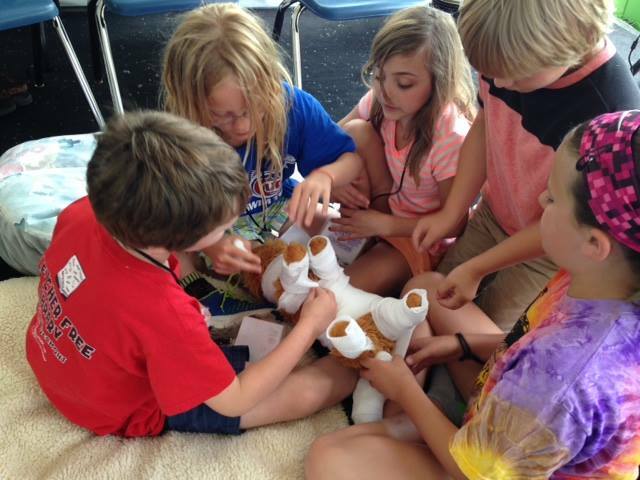 Each summer campers learn about a variety of topics including: proper pet care, animal safety, homeless animals in the community, animal-related careers, HSCC’s mission, and much more! Each topic is led by professionals in animal—related fields. For the past two years, Dr. Garrett Levin, DACVS has volunteered for the camp to teach children about veterinary medicine. 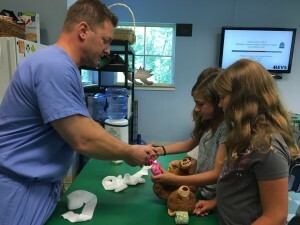 He projected radiographs and asked the students to guess the foreign object, he also took an interactive approach and taught children how to wrap a bandage on a stuffed animals leg. Year after year Dr. Levin has been a fan favorite and we couldn’t be happier to support HSCC in their mission to educate children on the importance of proper pet care!